Lufthansa is getting a makeover. 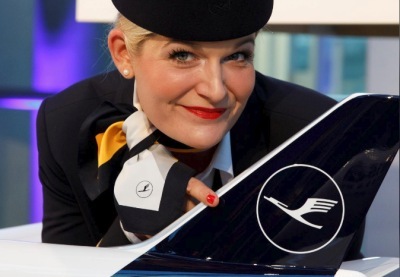 At an event in Frankfurt earlier this month, at the Lufthansa Flight Center, the German flag carrier unveiled its new branding. The most striking and head-turning part of the change is the airline’s new livery, which has been simplified to really include just two colors, blue and white. Gone is the classic yellow that defined the airline. Now it’s a more simple and some may say sleeker color scheme. The changes comes on a special date, as it’s the 100th anniversary of the creation of the Lufthansa Crane, the logo that appeared when the first Lufthansa was formed, before World War II led to its dissolution and reforming in the 1950s. “The crane logo represents Lufthansa and Lufthansa represents the crane,” said Lufthansa Group CEO Carsten Spohr in a press conference in Frankfurt. Spohr added that although the crane represents tradition , Lufthansa has always managed to step up to challenges and evolve, just as the crane logo has evolved over time. With the logo on everything from napkins to the tail of the plane, Lufthansa claims that over 45,000 cranes take off whenever a LH aircraft takes to the skies. Photos of the new livery sparked some intense reactions on social media. Lots of traditionalists were not happy to see the color known as RAL 1028 Melon Yellow leave the outside of the Lufthansa’s aircraft. The airplane’s fin will keep the crane, but with a thinner white circle around the bird, and with just a deep blue look. The yellow still exists on one small area, near the door furthest towards the cockpit, where a small yellow “welcome panel” will greet customers. And the color is not completely gone from the airline’s branding. You’ll still see it at the gate, or in the completely yellow boarding pass. Flight attendants’ scarves will include yellow accents and you’ll see it in amenity kits, blankets and pillowcases. “Every detail of the design was reworked — to meet the requirements of the digital age,” Lufthansa said in a statement. The last time the livery was changed (very slightly) was 30 years ago, so Lufthansa executives thought it was time to modernize. 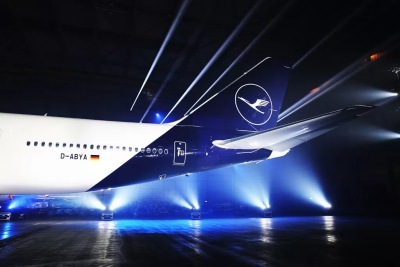 At an event later the same day in a Frankfurt airport hangar, Lufthansa executives revealed the new livery in public for the first time. The 747-8, the backbone of Lufthansa’s long-haul fleet, was shown in a snazzy display, and Lufthansa employees roared when the lights finally pointed towards the jumbo jet. Lufthansa says that 40 aircraft will be repainted by the end of 2018 and it will take seven years for the entire fleet to look the same. At the press conference, Spohr was asked whether Lufthansa is interested in buying Alitalia, the Italian flag carrier, in its current form. 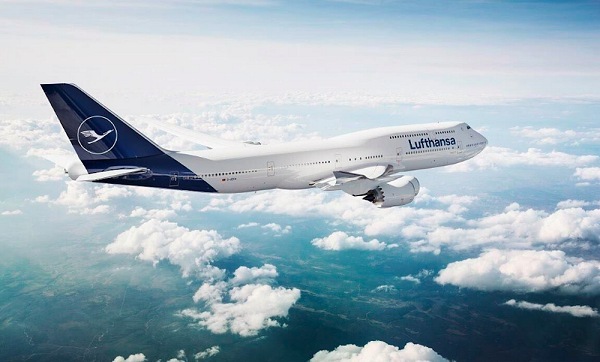 Spohr said he’s not, and only if it was restructured would the Lufthansa Group consider purchasing the bankrupt airline. Lufthansa also recently started incorporating parts of Air Berlin’s now defunct fleet into its own. Spohr said he thinks they’ll get another 35 Air Berlin aircraft on top of the 35 they are currently wet-leasing, with the crews included. Lufthansa is also focused on growing its low-cost carrier Eurowings significantly in the upcoming years, increasing its fleet up to 200 aircraft.